Here are some photos from some of our favorite events. We like to use Party Suppliers located here in Wilmington for any tents, chairs, or other party supply needs to make sure your event is absolutely wonderful. 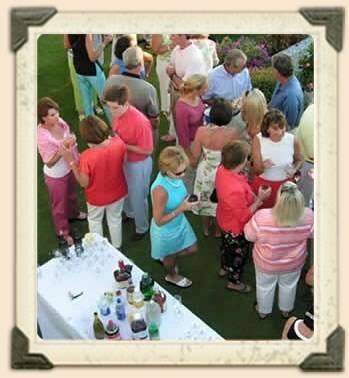 We cater clients of all kinds from big events to smaller more intimate occasions. We have the experience and staff with the know-how to make your special occasion truly that, special. We now also have a special computer program that will allow us to make customized menus, announcements, and itineraries for your guests. We can handle every aspect of your event so you have less to worry about! We look forward to serving your needs in the near future. Other photos taken by BlueTone Media as well as site design.